Mars in Pisces will pique Moon in Aquarius’ curiosity. Both these signs are drawn towards the fringe, but Aquarius’ detachment may be a little hard to handle for sensitive Pisces. Mars in Pisces wants to explore everything that lies beyond this world. For some prospective partners, his actions will be swooningly romantic. For others, his efforts will be vague or impractical. While he’s not everyone’s cup of tea, Mars in Pisces can bring a wonderfully empathetic touch to his relationships. Whether he’s being gentle or naive, he is the least aggressive and most sensitive of all the Mars signs. Moon in Aquarius needs alternatives. Mundane routines and traditional partnerships make her feel suffocated, although she may not appear to be a rebel at first meeting. Moon in Aquarius is steadfastly loyal to the right partner, and will tolerate a lot, as long as her lover understands her need to pursue her own unique interests. Also, physical space (alone time) is a must-have; at her core, she doesn’t need a partner (although she may want one). She doesn’t respond well to constant demands for reassurance. Mars in Pisces’ efforts (be they spiritual, creative or idealistic) will appeal to Aquarius. She’ll see him as someone who doesn’t follow the rules, and she won’t be uncomfortable with his impractical approach to daily life. While this is not a super-hot connection, there is a mutual recognition between two signs who understand that there is much more beyond our current reality. However, Aquarius may feel weighed down by Mars in Pisces’ victim behavior or addictive tendencies (if these are issues). Sometimes, the harsh realities of life can be too much for Pisces. 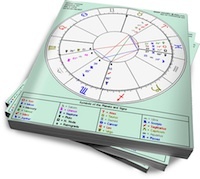 Depending on other connections between their charts, Aquarius may be endlessly accepting or she may calmly but abruptly cut things off.